Kathleen Pessolano, Director of Strategic Partnerships at the Global Sustainable Tourism Council, in this interview reflects on her work at the GSTC. She also shares how – faced with reputational and quality issues – more and more tourism businesses and destinations now actively engage with sustainability. Kathleen, do you remember the first time you heard or thought about “sustainable tourism”? Absolutely. Many years ago, I was on vacation in a destination I won’t name here. I was struck by the dramatic contrast in living conditions for visitors versus residents. I especially remember the ironic juxtaposition of billboards advertising luxury goods and experiences, right alongside communities struggling to meet basic needs. I went home from that trip inspired to learn more about “sustainable tourism” (as my Google search revealed it’s called). I searched for organizations working on this issue and started volunteering for the Global Sustainable Tourism Council (GSTC), which at that time was in its infancy. As an attorney by training, why the decision to dedicate your career to destinations and their sustainable development? Like many people, my career path has been circuitous! I’m grateful I’ve spent several years working in the private sector, in government, and in NGOs. The perspective from all three is essential when working closely with all of the above now. When I “discovered” sustainable development of travel and tourism as a professional field, it hooked me right away. Like our colleagues, I believe travel and tourism—when organized well—offers unparalleled benefits for everyone involved. From revitalizing economies and empowering small businesses, to driving conservation of heritage and natural resources, to breaking down prejudices through intercultural exchange—the opportunities of travel and tourism inspire me every day. From a legal point of view, which are the main topics or concerns linked to tourism sustainability – especially regarding destinations? Law, policy, and partnerships are powerful tools to solve problems. The “sustainability” issues we face are often tragedies of the commons or challenges requiring establishment of formal systems and cooperation among multiple organizations that are not accustomed to working together. I’m still a licensed attorney, and I use my legal training all the time to draft agreements among parties for collaboration, legal and regulatory frameworks, and other institutional structures to address complex issues in consultation with many, many stakeholders. I believe we need more professionals with private sector, legal, and other technical experience in our field, since policy mechanisms, ranging from voluntary agreements, to regulation when necessary, are fundamental to this work. To your mind, are there scenarios where residents or local businesses affected by unsustainable tourism (e.g. overcrowding) in their city or region could successfully sue destination management or marketing agencies for failure to ensure public health and livability? In my view, the larger risk for tourism destinations and companies, including DMOs, is reputational. We’ve all seen travel companies pull out of destinations due to a poor-quality visitor experience, which can be devastating to tourism economies. Destination managers should be on high alert that the resident experience and visitor experience of a destination are critically linked. If tourism isn’t managed well, neither residents nor visitors will be satisfied—and word travels fast. On the other hand, if local people and businesses are thriving, visitors will have opportunities for enriching and immersive connections with them—which we know are the kinds of experiences travelers are increasingly seeking. The systems the Global Sustainable Tourism Council (GSTC) recommends for destination managers, including for regular, meaningful consultation of residents, and careful visitor management planning, are designed to address the pitfalls of unsustainable tourism. Luigi Cabrini in his interview referred to tourism as “the sunny side of countries and peoples, willing to show their best and to welcome anybody interested in their nature, culture, music, gastronomy.” To what extend would you consider tourism a suitable tool for public diplomacy – for example in the USA? Tourism is one of the most powerful tools for opening minds, learning about other people and cultures, and reflecting on one’s own. If everyone were to travel to meet and truly get to know people of different races, cultures, creeds, we’d realize how much more alike than different we are. And I believe we’d be able to empathize with one another and come together to solve many of the world’s most pressing challenges. I’ve had great experiences participating in U.S. Government programs focused on international public diplomacy, as effective mechanisms to exchange systems and practice among institutions across a range of disciplines. I agree the United States could benefit from a robust domestic public diplomacy initiative also, to bridge some of the major divides—racial, political, urban/rural—that have only deepened recently. As Strategic Partnerships Director for the Global Sustainable Tourism Council, have you noticed increased interest in the work of the GSTC over the last years, linked to the wide-reaching coverage on overtourism issues in cities like Venice, Amsterdam or Barcelona? Is there serious interest among industry leaders to come together, collaborate and engage? In its early days, GSTC necessarily focused on establishing the necessary infrastructure for systematic dissemination of good practices in tourism, including setting standards for destinations and industry, and building a solid community of accredited certification bodies. Now, GSTC is focused on major corporate and destination partnerships to scale up application of the GSTC Criteria. We are working strategically with travel companies and destinations all over the world, who are setting up systems within their organizations and with suppliers to institutionalize adoption of the GSTC Criteria. When large players in travel set measurable operational and procurement targets demanding compliance with the GSTC Criteria—as TUI Group is doing for its hotel portfolio, and Royal Caribbean Cruises for its shore excursions, for example—we start to see the needle move. Countries from Chile to Indonesia are using GSTC as their guide for nationwide tourism standards. We also are seeing industry wide collaboration now more than ever, with the World Travel and Tourism Council (WTTC) specifically identifying destination degradation as an industry priority and engaging GSTC on mechanisms to address challenges such as visitor management. I am very encouraged by the discussions we have ongoing with industry leaders and among public-private partnerships, and look forward to being able to discuss these very exciting initiatives in the coming period. 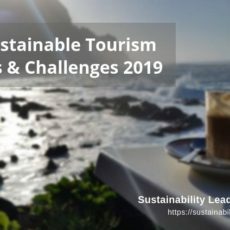 More awareness about (lack of) sustainability in tourism has triggered an increase in international conferences and events, leading to more and more travel and a considerable environmental footprint. At GSTC, how do you reconcile the need to be present, network and sell your services and ideas, with the need to maintain the credibility of the organization as sustainability advocate? GSTC is a remote organization. We offer online trainings, communicate largely by conference call, and often participate in events via video conference. This helps save money as well as limit footprint. You can’t replace in-person connection at all times; and GSTC does still participate to a limited extent in in-person events and conferences when it makes sense. But the vast majority of our interactions, even internally, are remote. 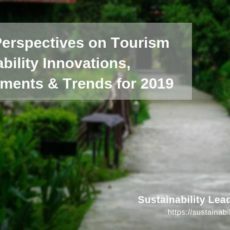 Which trends or changes do you observe in the international sustainable tourism community? Where are we headed as community of practice? The most promising trend I’m seeing is the systematic adoption of good practices by major providers and procurers of travel—both companies and destinations—as well as industry wide and public-private sector collaboration on initiatives too large and complex for any one organization to tackle. We are seeing unprecedented progress in those areas, and it should continue! I do see lots of room for improvement. Too many organizations are still working in silos. Even well-meaning donor and technical assistance organizations’ efforts are often overlapping or inconsistent with other initiatives in destinations with limited resources to harmonize all ongoing projects. “Project Mania” is a diagnosable disease. We on the “assistance” side could take some lessons from our recommendations to destinations on institutional collaboration, as we are pursuing the promising partnerships discussed above. 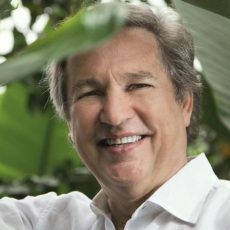 Looking back at your career so far, which three bits of advice can you share with newcomers to the field of sustainable tourism development? My main piece of advice is: If you are motivated to change the world, infiltrate mainstream organizations, including private sector and government. Don’t just gravitate toward “sustainability” focused NGOs. We need good people in all types of organizations. Even if you dream to ultimately end up in an NGO, prior experience in the private sector and government will only help your contributions. 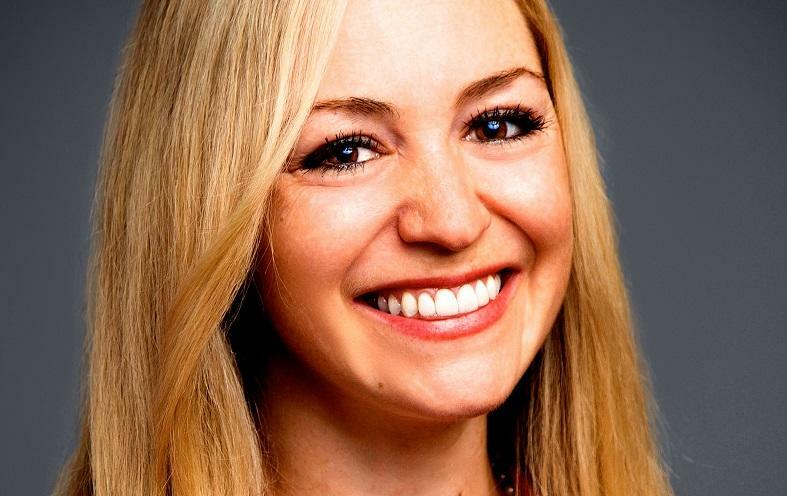 Connect with Kathleen Pessolano on LinkedIn or get to know the Global Sustainable Tourism Council here. Enjoyed our interview with Kathleen Pessolano? Spread the word!